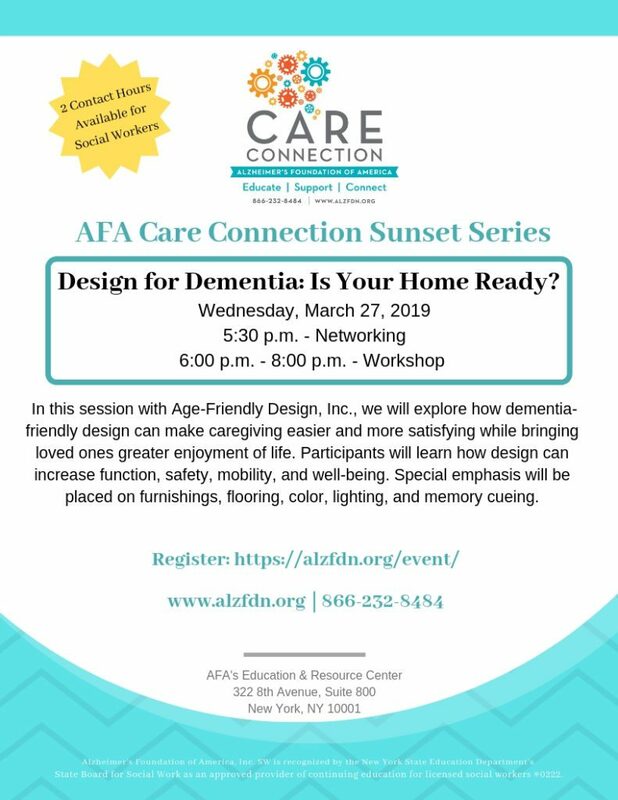 Alzheimer's Foundation of America | Care Connection Sunset Series: Design for Dementia: Is Your Home Ready? Care Connection Sunset Series: Design for Dementia: Is Your Home Ready? Registration for this event is at capacity, but you can register for additional programs by visiting our events calendar. If you have any questions, please contact AFA’s Department of Educational and Social Services at 866-232-8484.